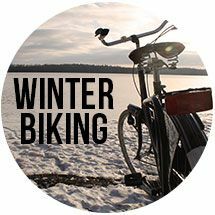 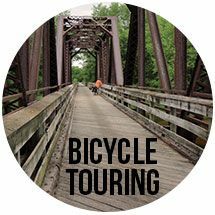 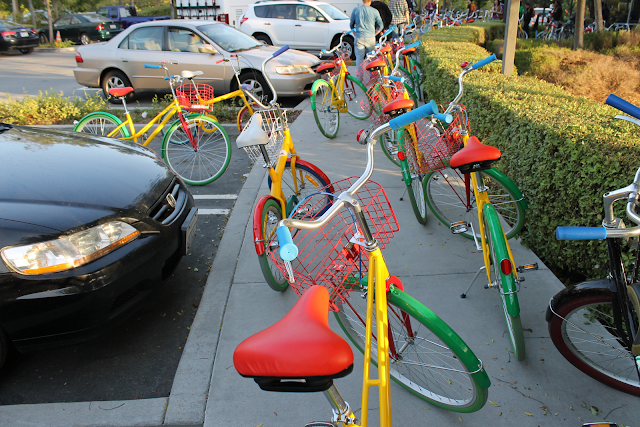 Google, Mozilla, Foursquare, and others are implementing a variety of programs to encourage employees to bike. 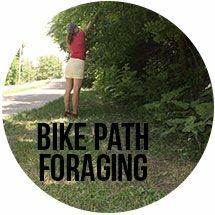 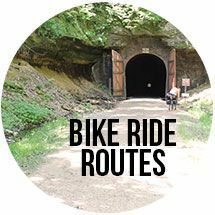 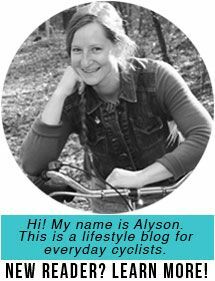 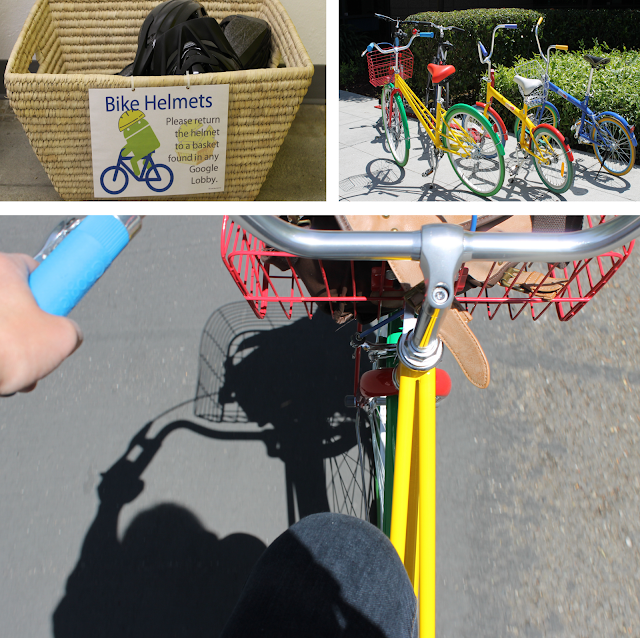 In her story, "Techies on the Cutting Edge... of Bike Commuting" for Marketplace, Andrea Bernstein writes, "[Tech] companies are in a race to outdo each other in bike friendliness." I had the opportunity to visit Google's Mountain View campus because the electronics guru whose work I document for a living, Ben Heck, was invited to give a talk on 3D printing and pinball. While Ben was interested in talking Android operating systems, I couldn't wait to ride the colorful GBikes. The view from the saddle of a Google bike didn't disappoint. 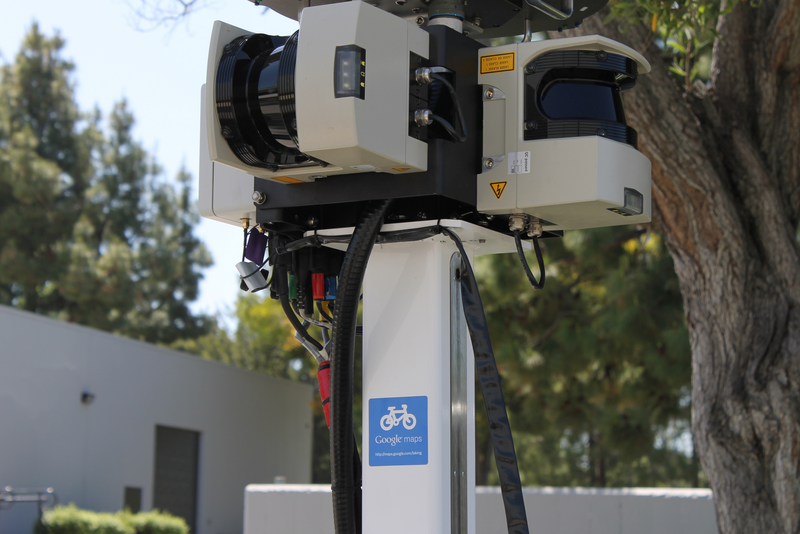 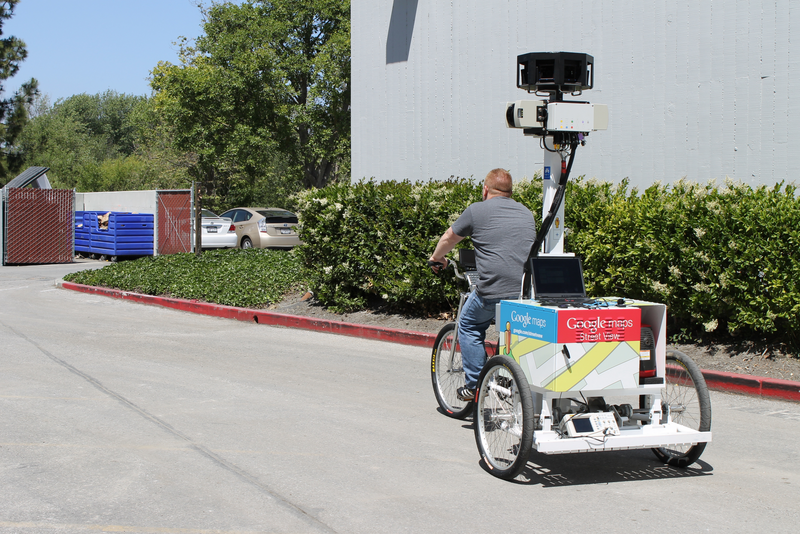 I rode the newest generation Gbike, which was designed by Google engineers and selected in a company-wide competition that received nearly three dozen submissions. 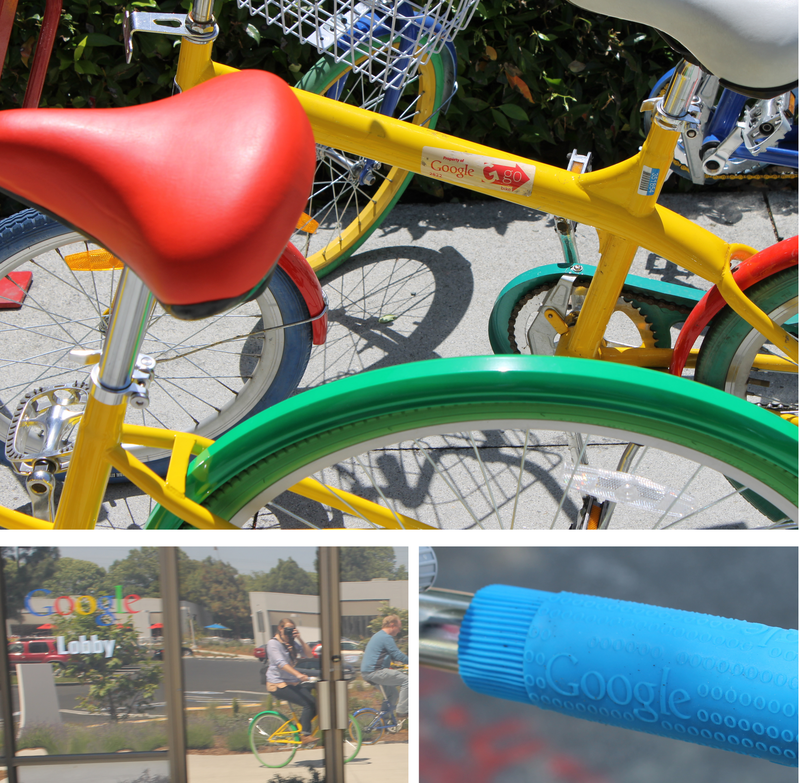 The "Googlers" I met had nothing but good things to say about the colorful bikes found everywhere and were all enthusiastic about biking in general. 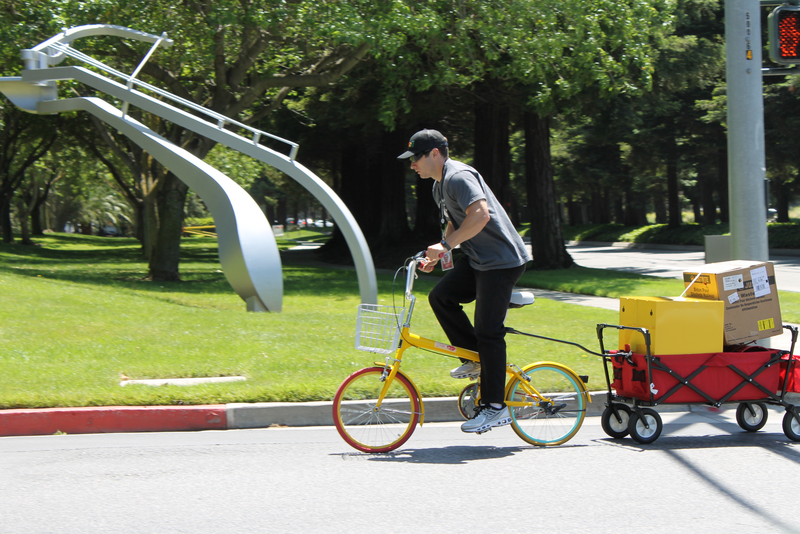 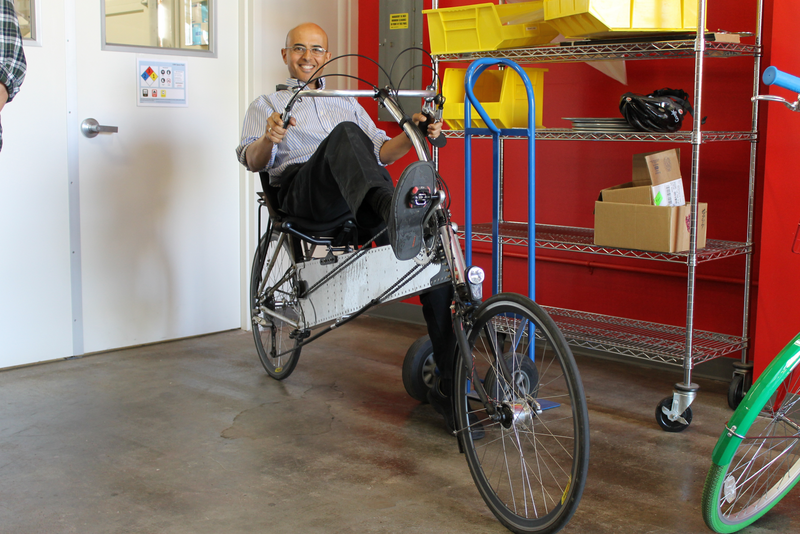 Googler Ihab Awad, used the Google Workshop to build a custom recumbant. Swarm of Google bikes abandoned for a ride home on the bus.